APANAMA: CRIMINAL charge sheets against the Prime Minister - YES or NO? CRIMINAL charge sheets against the Prime Minister - YES or NO? 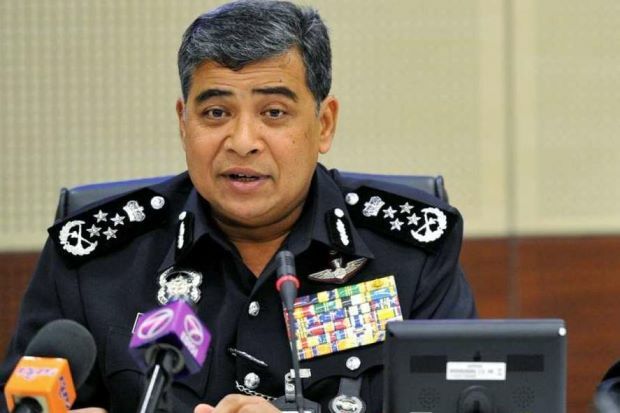 IGP Khalid Abu Bakar stating that the action against MACC was taken as there was a need to find how a copy of a charge sheetcould be uploaded into the Sarawak Report portal has drawn DAP supremo Lim Kit Siang’s attention. “Does this mean that the draft charge sheet against Premier Najib Abdul Razak for the offence of corruption is not false or a figment of the imagination?” he wondered in a statement yesterday. He added that new Attorney-General Mohamed Apandi Ali (photo) had in the first instance dismissed the draft charge sheet as false, and if so, this should have been the end of the story. “When the police arrested and interrogated MACC officers did it mean that there was in fact such a draft corruption charge sheet against Najib on the premises of MACC? This pertinent question is being posed by not only the veteran Opposition leader. Almost every sane Malaysian are asking the same question at different platforms. 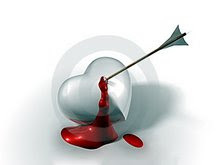 Some do it openly while others confine it to WhatsApp and whispers. So, are the 'charge sheets' which spelled out the specific provisions and sections of the law under which the Prime Minister was to be charged, including an alternate charge, as publicised by the much feared Sarawak Report genuine or are they still considered fake? I hope the newly minted Attorney General would give us Malaysians a quick assurance that his initial statement is indeed correct. If the AG's statement was not accurate then the learned AG could just say so. Admitting a mistake is not a crime, I think. In the same breath maybe the AG could also help shed some light into his 'instructions to the Inspector General of Police' pertaining actions against the MACC directors and senior officers. Don't get me wrong Tan Sri AG, I'm just trying to clear up a confusion here. It's a total mess in public sphere with an increasing number of people trying to take sides in a so-called MACC vs The Rest of the World battle. Please also take note that the Attorney General Chambers itself has come under greater public scrutiny since the unceremonious removal of Tan Sri Gani Patail and the disbanding of the Task Force. When something or someone is put under the spot light so many questions start to pop out. They may be irrelevant or unnecessary but some do catch and further fuel the people's imagination. 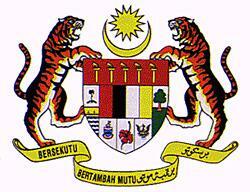 Take for instance Tan Sri AG's political affiliation. There are allegations that the AG is/was an active member of a political party and had even contested in a General Election. Thus people conclude that the AG's loyalty to his (current/former) party president could not be discounted. This is what members of the public, who think they are in the know, talk about these days. 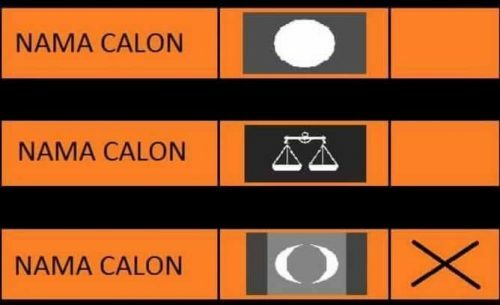 Did you ever contest in an election Tan Sri? Once again Tan Sri AG, let me make it clear that everything stated above is/are not allegations against you or anyone else in any way. I'm sure it would be much welcomed if you could take some time to ponder on the issues and explain/clarify if deemed necessary. Just remember that Malaysians are watching you very closely, Tan Sri Attorney General. Khalid said the action against MACC directors and two senior officers was taken because there was a need to find how the copy of a charge sheet could be uploaded onto the Sarawak Report portal. "We have also called witnesses from Bank Negara and other commercial banks in conducting the investigations. We acted on the instructions from the Attorney General. We arrested three people, seized documents and set them free. P.S. I'm not engaged in any activity that could be deemed to be a threat to parliamentary democracy, neither am I trying to topple/bring down a democratically elected Government. 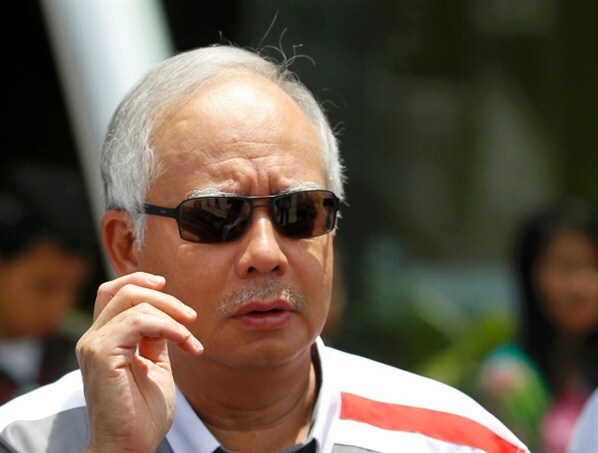 I'm just convinced beyond any doubt that Mohd Najib Bin Tun Abdul Razak is no longer fit to be the Prime Minister of Malaysia. I have strong reasons to suspect that, over and above the criminal allegations against him, he is mentally ill. Thank You. 1. ag kata no such thing (mungkin benar) kerana ia disediakan oleh sprm sebab itu igp kata 'employees' of sprm ditahan utk siasatan tentang kebocoran. (mungkin juga benar). 2. draft yg di viral kan ada dua versi. 3. kemungkinan besar ianya ujud. Won't stumble if God directing our steps. Even the President of the USA is NOT ABOVE THE LAW! An Old Soldier Speaks...more in Sorrow than in Anger. Friends has been calling me to ask why have I been so angry of late, and my anger is so obviously reflected in my comment on FB. I said to them that I am so confused and angry because at this late age of mine, I am seeing the demise of my country in the hands of some ugly politicians who now lords even over the civil service. Having been a member of the Armed Forces, and had served towards the final days of the Indonesian Confrontation, the full brunt of the Communist Insurgency and had seen service with the UN on peace keeping duties in war torn Cambodia, I just cannot hold back my anger to witness this beloved country of mine that I had placed my life as a soldier defending it, be mercilessly mowed down by thieves, liars and even alleged murderers, masking themselves as honourable politicians. The more I read about what appears to my beloved country grasping for breath in the face eventual death, I flinch in fear that all the scarifices that we the members of the Armed Forces had contributed in the past to make this country safe so that it could prosper for the good of its people, is being mismanaged at the hands of unscrupulous, thieving, corrupt and lying politicians. Never have I hated our ruling politicians so much like this in the past, and seeing them act like lord and master over the people today, makes me change my honourable impression of them to one of despise, intense dislike and disrespect for them all. What is even worse is their utter disregard to their sworn pledge to His Royal Highness the King, especially those appointed to hold ministerial positions in government, to serve the nation with honour, and to fulfill their avowed responsibilities with integrity and thrustworthiness. Never have they pledge to steal and abuse their position. I really do not know if my country could survive the current turmoil caused by an idiotic leader who has shown little remose for the sufferings of its people. What more can I do now to enlightened my poor soul, other than to pray for the blessings and guidance from Allah swt that my country and its people will emerge out safe from the current turmoil. Finally, I seek my beloved and faithful FB followers to join me in prayers that nothing untoward will befall upon us all, and that we shall continue to savour the joy and happiness that we were once showered with. Amin. Was Gani Patail about to charge him? Yes. Is there enough evidence? More than enough. Why do you think so many people to be shuffled so quickly? The truth kind of comes out doesn't it. If that draft charge sheet shown by Sarawak Report was forged, then there was no leak but if it was a genuine one leaked then it could not have been forged. This whole 1MDB thing and the RM2.6 billion fund transfer would make a great blockbuster comedy movie if it weren't so damaging to the nation. JAKARTA (Reuters) - Indonesia's Supreme Court has ordered the family of ex-president Suharto to pay back millions in embezzled funds to the state, a spokesman said on Tuesday. Suharto, who after 32 years of iron-fisted rule was brought down by widespread protests in 1998, was accused of massive corruption and nepotism benefiting his family and cronies. The Supreme Court ruling marks the first time the family has been held accountable in any significant way for Suharto's alleged wrongdoing. The family of the so-called "smiling general" lost its appeal against a previous ruling and has been ordered to pay back $324 million in state funds misappropriated during Suharto's rule. - The Star. Ada time bar ke kesalahan macam ini?? Kalau tak ada, well this thing will "catch-up" (pun intended) with him at some point..
As a citizen of this country, I am confused. Which is a greater crime suspected crime which is threatening the nation, the case against the PM; or the leaked information, or was it both? Of course it was genuine charge sheet. Go ask any lawyer to draft one. Not easy. Only trained prosecutors can write such text. It's not fake. That's why the IGP was going on a witch hunt. Nak habaq sikit....inilah bekas tentera yg paling bersih dlm negara kita....pasai apa? 2. Bekas anak murid ayah saya. 3. Semangat melayu yg cukup tinggi dlm tubuh badan dia....amat saya kagumi. Jadi kalau org yg semcm ini pun boleh marah...bayangkan lah! 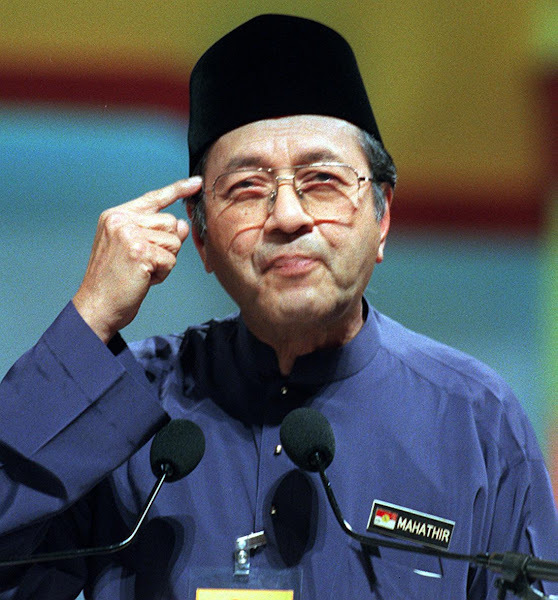 Apa nak jadi negara kita. 4. Seorg yg memiliki disiplin yg tinggi. Syabas dan tahniah Brig. Jeneral Mohd Arshad.....tapi awat tak pakai dato tu? siapa ketua konspirasi dlm semua ini. Malaysia is going into the ditch by the hours, mind you not by the days! From afar even many Malaysians are angry and anxious not only the Brigadier General Arshad. How is this gonna turn out is anybody's guess! But we can all be sure of the rakyats are suffering and the condition are not getting any better! hahahaha, finally something mr. lanun cannot control, investors sudah cabut and ringgit boleh masuk bakul sampah. To say the ringgit's plunge is due to oil prices is a fallacy. Oil prices have been plunging since last year, and have even staged a moderate rally since then. The ringgit's plunge is because 2,600 million ringgit ended up in the wrong place with no proper explanation. Investors have no confidence. Malaysians have no confidence. The people in the Government have started wondering about confidence ? So Najib, do you have confidence in all these ? I bet you are clueless ! A man can be mentally ill, act irrationally, talk stupid and confused if he swallows too much nasi kangkang. Kenapa perlu "leak" kpd SR? Its a good question viz 2 scenarios i.e "Kalau sprm dah cukup bukti dan AG juga dah sedia untuk caj, why the need to leak? The truth and unquestionable Answer could ONLY BE PROVIDED by MACC No 1 and/or 2 and ex AG themselves. 1. Both Macc and AG still drafting the charge sheets.. thats why there were alternative charges drafted. Both were yet to decide which would be the best or preferred. They were in the process of finalizing and obtaining a warrant of arrest. 2. 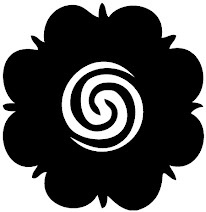 However, in any enforcement goverment agencies, there are "moles" planted to see things are okay, otherwise any "negative development" would be quickly triggered to the "boss". Therefore, in the above case, it was triggered earlier before macc and ex ag could make their move. Again, someone, on seeing this development quickly sent the drafted charge sheets to SR to get results. Otherwise all efforts gone down the drain. Thus, thats why IGP looked for WHO LEAKED the charge sheet drafts. That we have seen a sequence of events following sacking of gani patail. Honestly, the drafted charge sheets are TRUE. Please enlighten me and others, WHO SIGNED THE MACC STATEMENT DECLARING THAT USD700 MIL IN NAJIB'S ACCOUNT IS A DONATION? Rumours flying around saying that THE STATEMENT WAS UNSIGNED....NO? Yes no one ! Very simple. Just ask the top two in MACC.